Totem – a model incorporating Glassfire® Technology. With its high located flame nest it sheds light like a lighthouse onto the surrounding area. 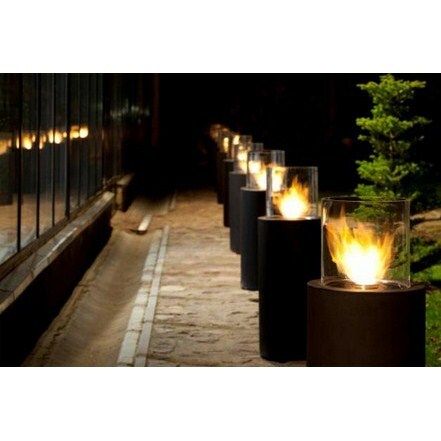 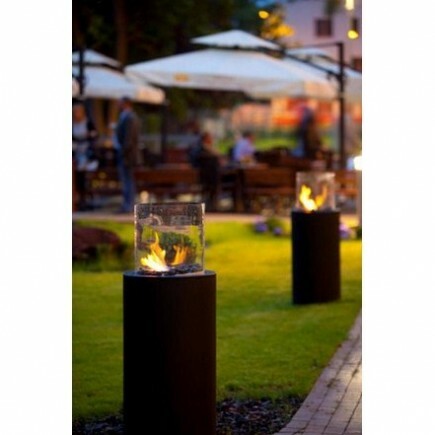 Totem is a perfect idea for an outdoor fire for cosy summer evenings in your garden. 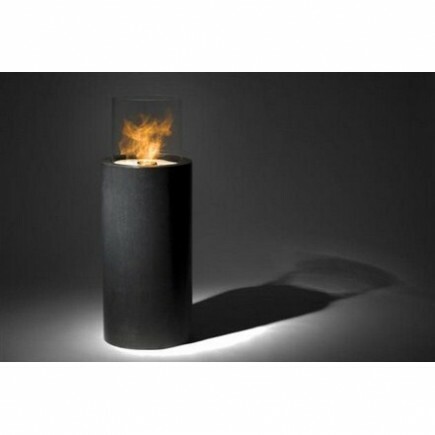 The black body of the model creates an eye-catching contrast with the fire. 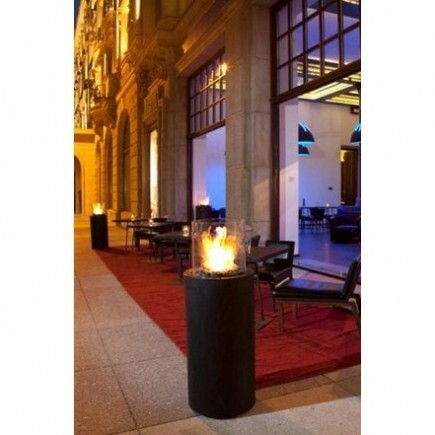 The special ethanol based fuel – Fanola®, makes the fire free of smoke, making the model also ideal for indoor use. 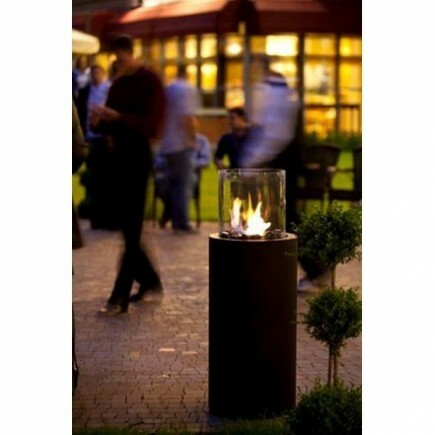 The new Commerce burner allows for the extension of the burning time up to seven hours. This latest invention represents also a great enhancement of safety. 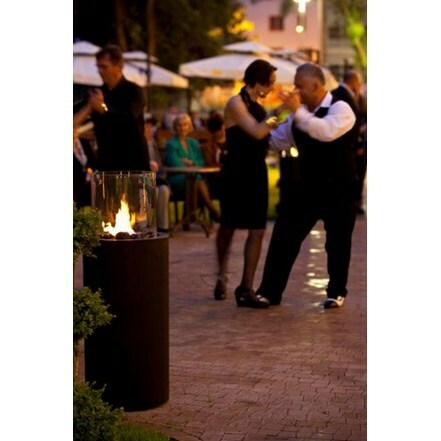 The inside of the burner is filled with highly absorbent ceramic fibres to keep the Fanola® fuel contained and prevent from leaking and spilling even when pushed over. 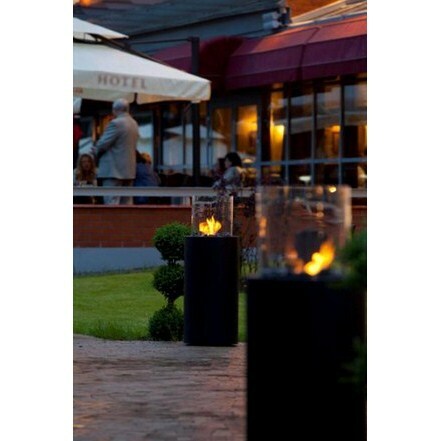 The new technology has been developed especially for restaurants, bars, and outdoor areas.